Congratulations to former Reds shortstop Barry Larkin, who was elected into the National Baseball Hall of Fame yesterday. Larkin appeared on 86.4% of the ballots cast by voters, easily surpassing the 75% required for election. 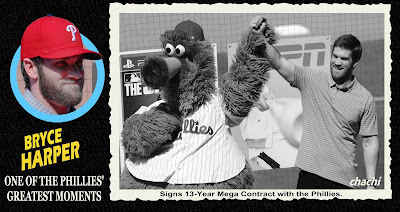 I'm sure former Phillies shortstop Kim Batiste will join me in congratulating his former idol. 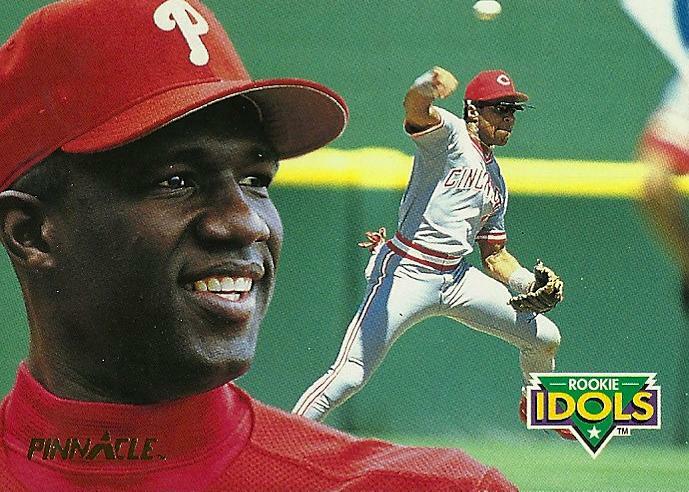 Raines also appears on a few Topps Rub-Down/Tattoo cards (from 1984 and 1985) with Mike Schmidt and Walker is featured on the same League Leader card as Bobby Abreu in the 2000 Fleer Tradition set. Former Phillie Dale Murphy, on the ballot for the 14th year, received only 14.5% of the vote and next year is his final year of eligibility. After that, he'll presumably be passed along to the Golden Era Committee, who elected Cubs great Ron Santo last month. Sadly, Terry Mulholland, on the ballot for the first year, received no votes. 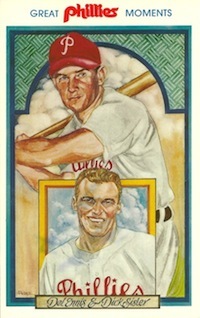 Jim, check out the first Richie Allen card in this post. That's a great card! I'll need to add that to my want list. And thanks for directing me to a new blog to follow.